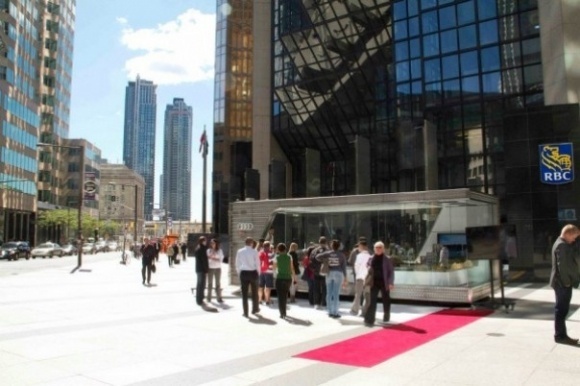 In order to connect with young businessmen Audi Canada ran this great campaign. 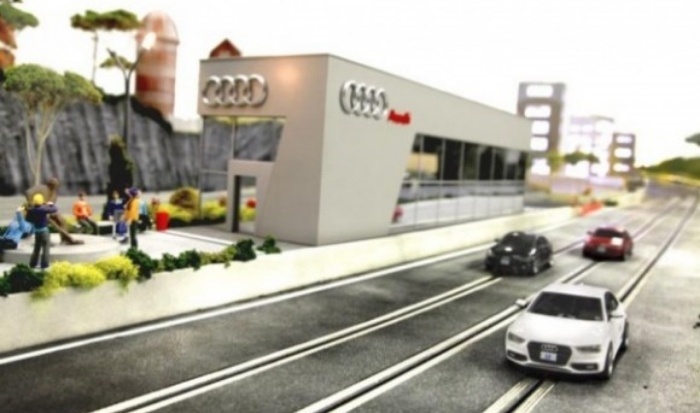 A Scalextric track, complete with trees, miniature figures and a prominent Audi garage was placed in the business district of Toronto. 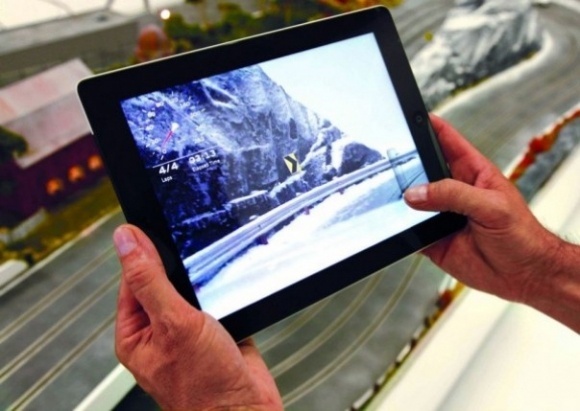 The cars on the track were scale models of the Audi Quattro and people were invited to race them using a bespoke iPad app.